I don't know about you, but I often get to the last couple days of school and there seems to be some downtime with my excited students. It may be before awards or after field day, but I find myself scrambling to keep them busy. 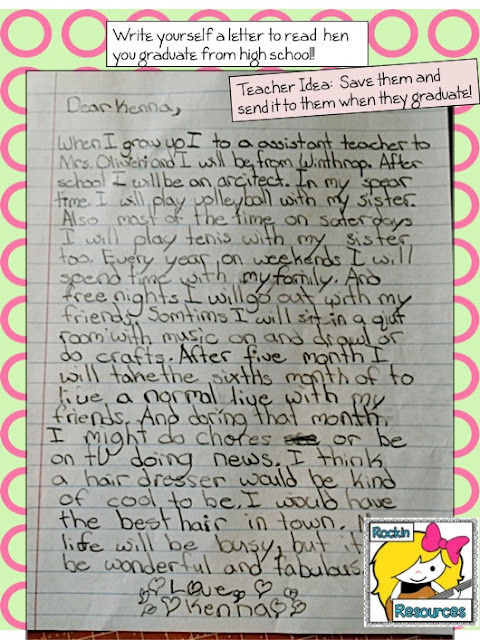 If you come to the same predicament, here are some ideas! Of course if you have finished your year, pack these away for next year! Woo woo! I love to do this with my class! Why? 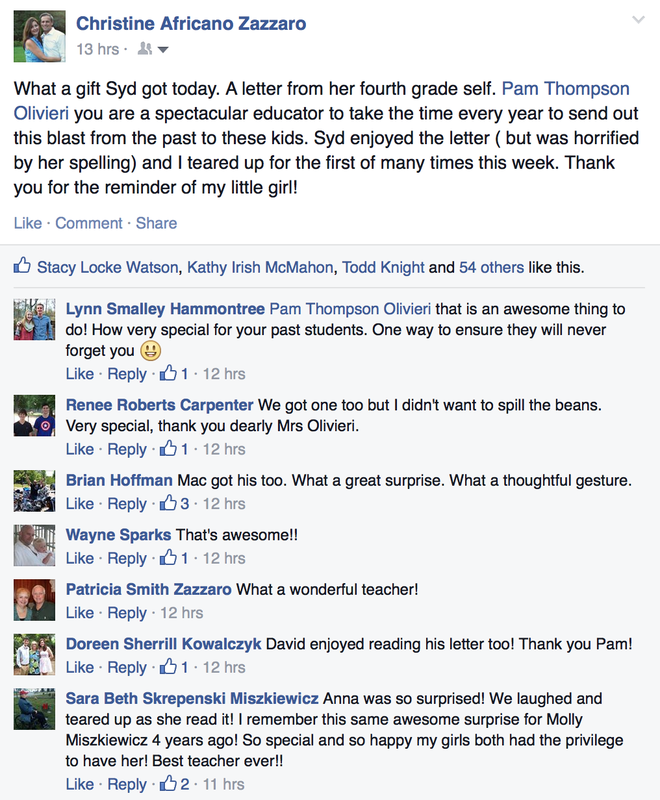 I keep my students' addresses each year and when they are due to graduate, I send them a card! I include their letters in the card! 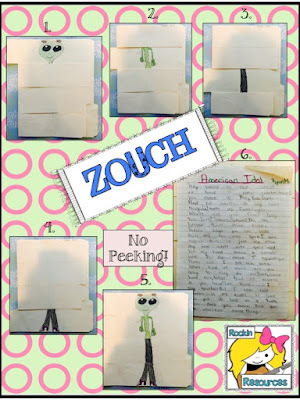 It adds an extra touch and are so fun to read and super cute! 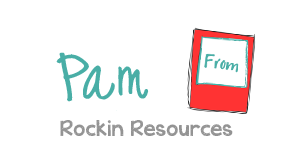 This is an example that I recently sent out to a girl who is graduating this week. She was so excited to receive it! 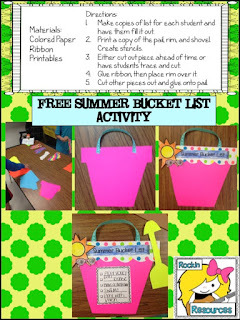 Help students create some activities to accomplish over the summer! 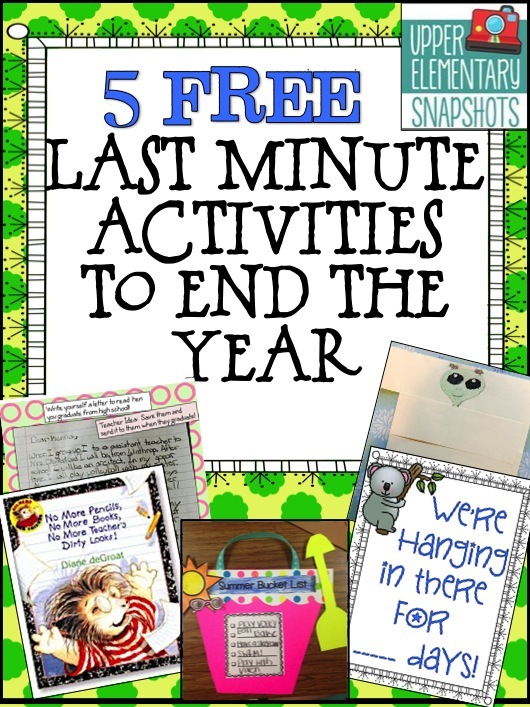 They can hang it on their refrigerator and check it off as they complete them! 1. 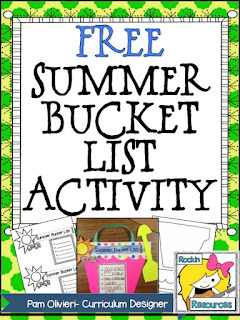 Make copies of list for each student and have them fill it out. 2. Print a copy of the bucket, rim, and shovel. Create stencils. 3. Either cut out piece ahead of time or have students trace and cut. 4. Glue ribbon, then place rim over it. 5. Cut other pieces out and glue onto bucket. Waalllaaaa! 1. Cut four even sections out of the left side of a file folder. 2. Optional: Tape down each section. 3. Place students in groups of 4. 4. Round 1- Draw the head of person, alien, or animal. Don’t show anyone! Then draw a little line into the 2nd section to show where you left off. Close your section and pass your folder to the left. 5. Round 2. Open 2nd section of the next folder and look for lines. Use them to draw the shoulders, chest, and arms. Drawn lines on where you left off and close your section. Pass your folder to the left. 6. Round 3- Open the 3rd section and draw the waist to the knees starting from the lines provided. Close your section and pass your folder to the left. 7. Round 4- Open the 4th section and look for the lines. Use them to draw from the knees to the feet. Close you section and pass it back to the original person. 8. 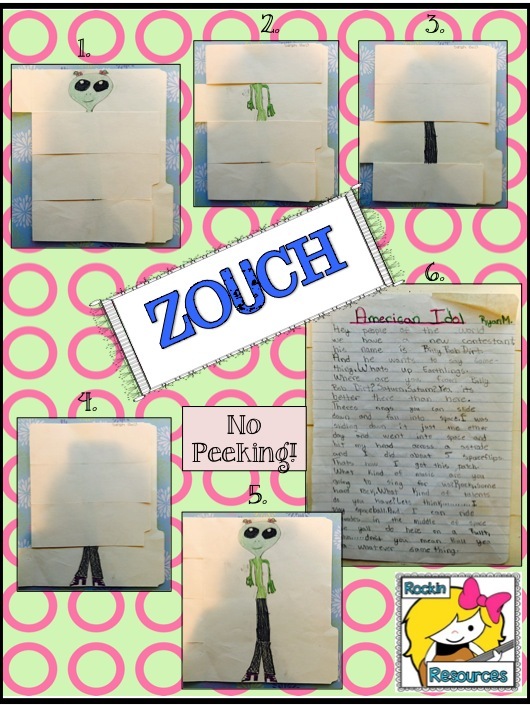 Create a story about your Zouch! Include name, where he/she lives, and what it does on a daily basis. 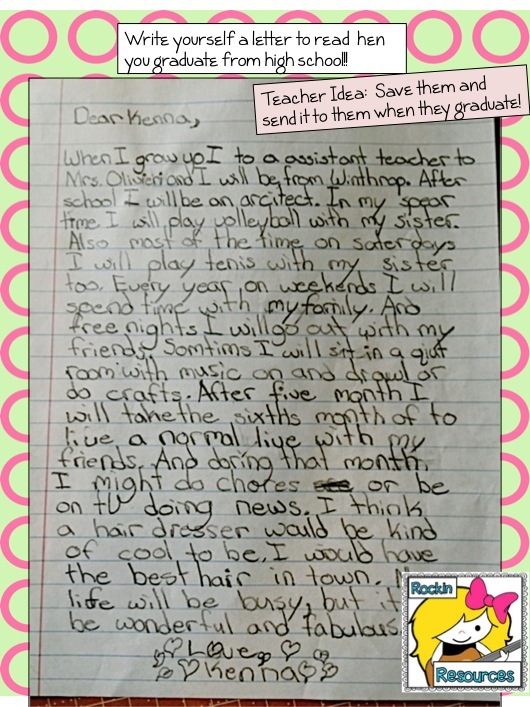 Great bulletin board idea for the last week or two of school. 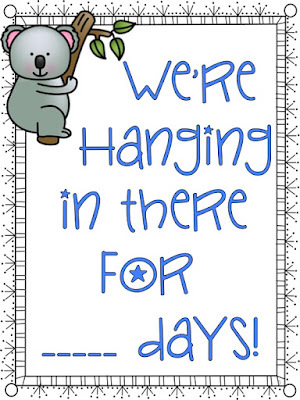 We're Hanging in There for ___ Days/Hours. 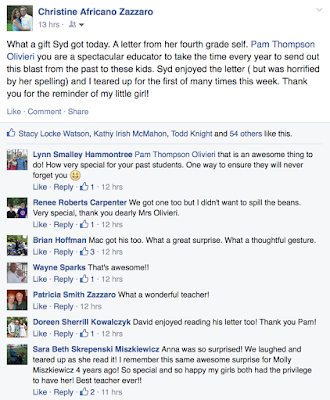 I give each student a teacher or administrator's name. They have to create them using construction paper. We hang them from a string in the hall way and each day, we change the amount of days left. On the last day, we change it to hours!!! Click on pic for the free poster. 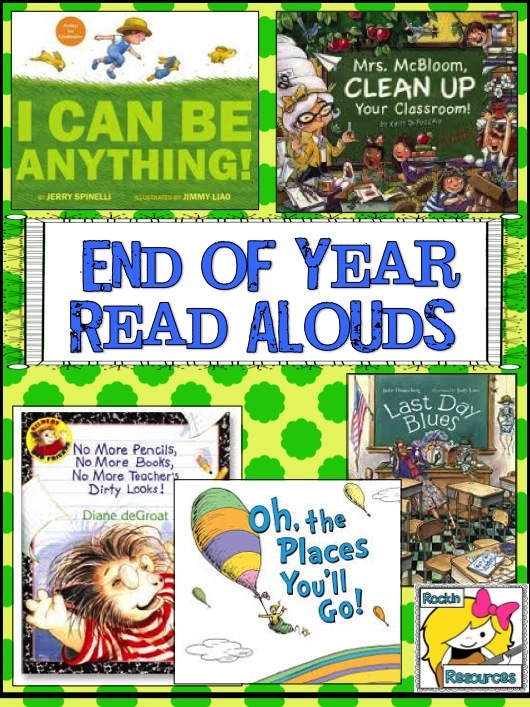 Last but certainly not least, read aloud are always a staple! 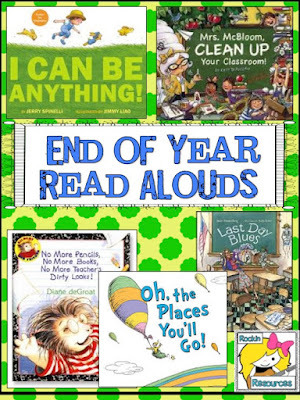 These are my favorites and if there is still time after reading, give them a piece of bulletin board paper to illustrate, quote, or write about the story!